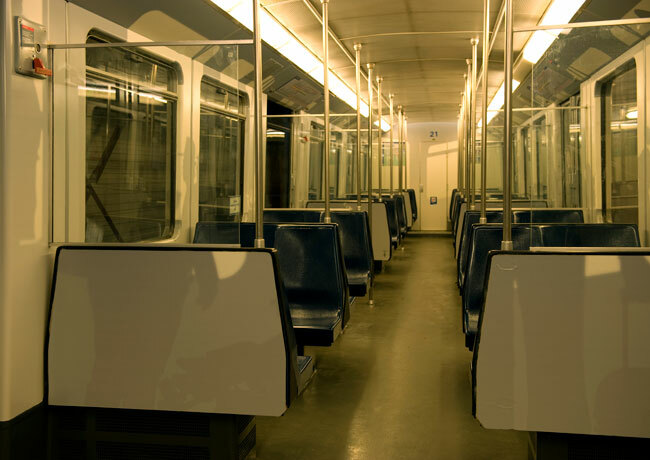 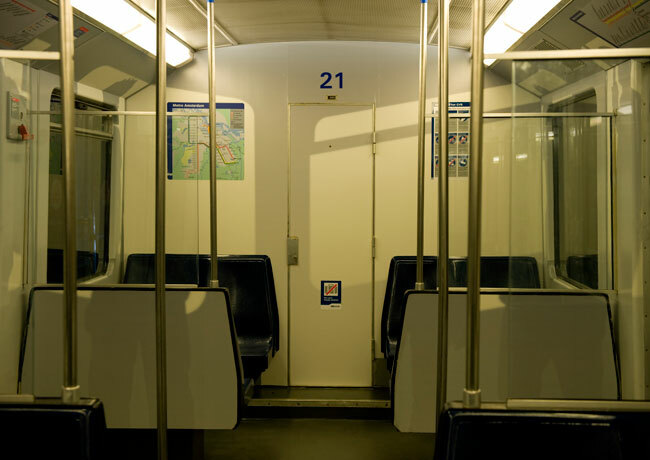 During the renovation of old Amsterdam metro cars in 2009, all the walls and panels were covered with printable anti-graffiti foil. 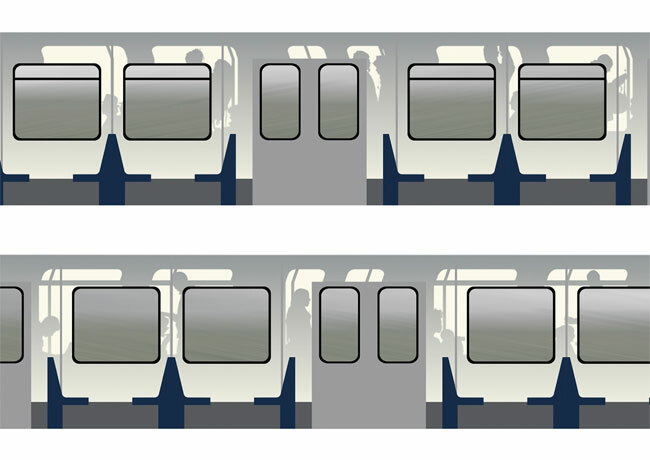 Different artists designed 40 renewed cars. 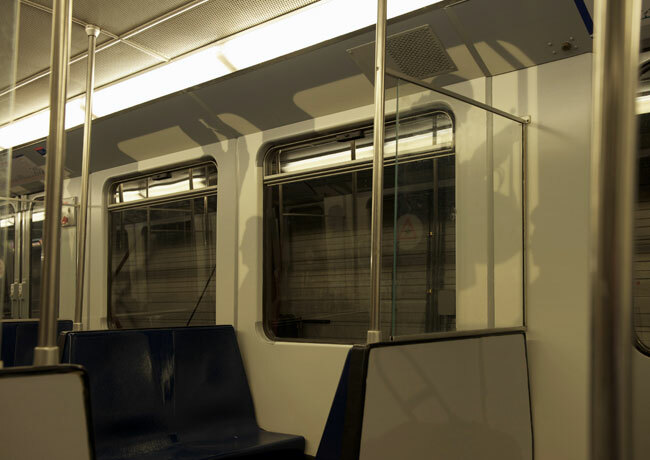 This commission was the perfect opportunity to explore my shadow concept in an extreme surrounding that encounters rapid changes of darkness, day and artificial light. 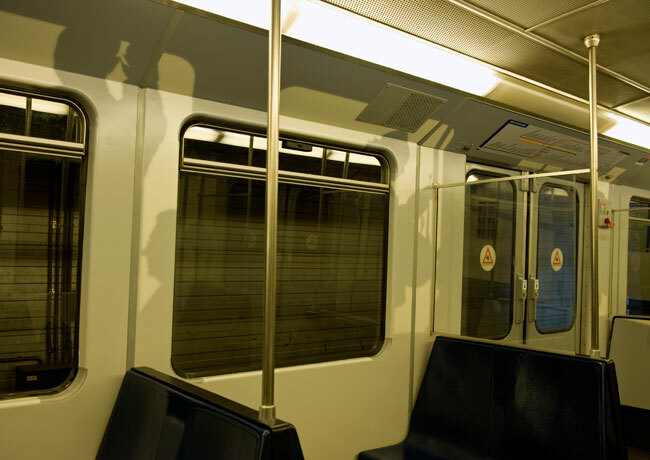 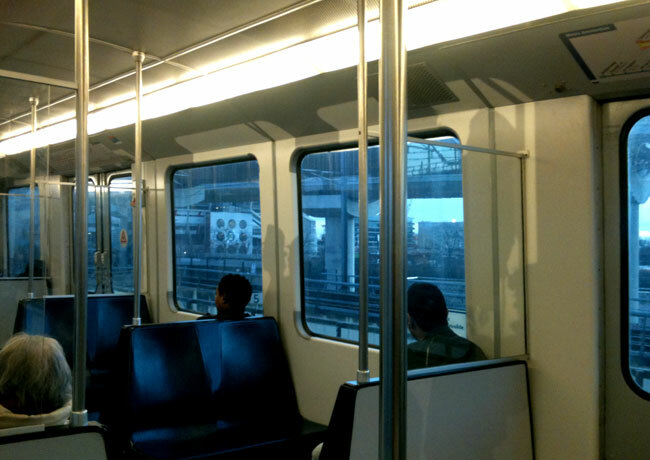 The printed “shadows” of travelers and their luggage accompany you in metro car 21, which serves the lines 53, 54 and 50.